Kuala Lumpur: Malaysia Airlines announced Tuesday it has reached a settlement with an Australian family who lost four family members on Flight MH17. Perth couple Anthony Maslin and Marite Norris lost their children Evie, 10, Mo, 12, and Otis, 8, along with their grandfather on the Boeing 777 which was shot down over Ukraine in 2014. The airline said in a statement it has reached "an amicable and confidential settlement with the Maslin family and therefore the suit has been withdrawn". It said it would not "disclose any further details on this suit or about the details of the settlement in respect to the privacy of the family". 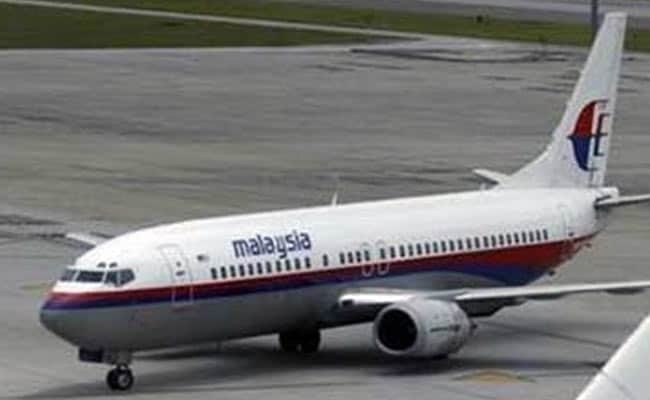 Malaysia Airlines also said that to date, a "substantial number" of next-of-kin have reached settlements with the airline while others were "still seeking compensation and are pursuing their claims in their respective jurisdictions". A lawyer representing families of six Malaysia Airlines crew members on MH17 told AFP the airline had offered to settle for an undisclosed amount in June last year, but the families had rejected the proposed sum. "There was another offer in January and we're still considering," lawyer Saw Wei Siang said Tuesday. The Malaysian lawsuit in June last year came two weeks after a suit by 33 next-of-kin from Australia, New Zealand and Malaysia was filed against Russia and against President Vladimir Putin in the European Court of Human Rights. MH17 was shot down over eastern Ukraine on July 17, 2014 en route from Amsterdam to Kuala Lumpur with the death of all 298 on board, most of them Dutch citizens. A Dutch-led criminal investigation into the attack concluded in September last year that a BUK missile, transported from Russia, was fired from a field in a part of war-torn Ukraine then controlled by pro-Russian rebels, and hit the plane. But it stopped short of saying who pulled the trigger. The Dutch-led investigation did not directly accuse Moscow of supplying the BUK missile and its transporter system -- and the Russian government has repeatedly denied any involvement. Malaysia Airlines said it was flying over unrestricted airspace and had complied with all regulatory requirements. In its statement the airline said "it has always been its priority that all next-of-kin are fully compensated fairly and equitably... and this is not in any way tantamount to an admission of liability of guilt".